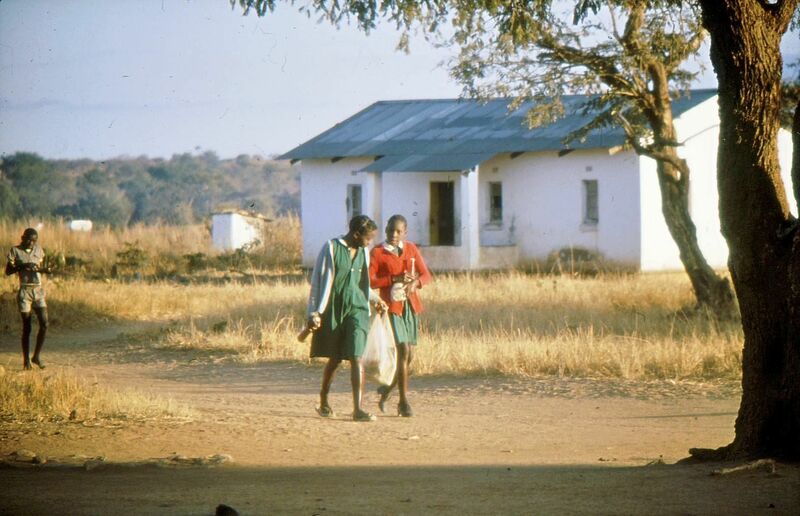 Chibwe Basic School is situated in the village of Mapanza in Choma district, southern province, Zambia. When our family first came to stay in Mapanza village, Chibwe Primary School became the birth place of Line’s education. The first 3 years of her education was achieved here. Leaving the school in 1982 was not easy. Line had become a Zambian. It is as simple as that. Mid 1981 I arrived in Mapanza, to stay with my mother and sister. I too, attented Chibwe, starting mid term grade 5 and leaving mid term grade 6. I was too old, and my stay was too short, to become a “real” Zambian like my sister, but fortunately I was old enough to reflect on the experience, and realize that what I learned here about friendship, respect and humility, would become the true core of my personality as an adult. I have obtained educations in the fields of information technology and chemistry, and I have my own business in the city of Aarhus - Denmark. In 2014 we came back. We came to say thank you. We are Zambian. See the film from our visit here.